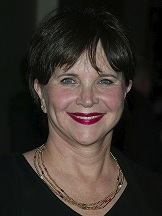 Claim To Fame: Cindy Williams is an American actress, best known for her role as Shirley Feeney on the television sitcom Laverne & Shirley (1976-1982). Family Life: Williams was married to Bill Hudson of the musical trio Hudson Brothers in 1982. The two divorced in 2000. Together they have two children: Emily and Zachary. Info: She graduated from Birmingham High School in 1965. Her classmates included financier Michael Milken, actress Sally Field, and talent agent Michael Ovitz. Attended Los Angeles City College, where she majored in theatre arts. Williams is a practicing Catholic. After college, Williams began her professional career by landing national commercials, which included Foster Grant sunglasses and TWA. Made her Broadway debut as daffy "Mrs. Tottendale" in The Drowsy Chaperone at the Marquis Theatre in 2007. Trivia: Favorite actress is Debbie Reynolds. Was on the bowling and volleyball teams in high school. Wrote with Penny Marshall before acting with her. Auditioned for the role of Princess Leia Organa in Star Wars: Episode IV - A New Hope (1977), which went to Carrie Fisher. Was cited as one of the most promising movie personalities of 1973 in John Willis' 1974 Film Annual "Screen World" book. Received a star on the Hollywood Walk of Fame at 7021 Hollywood Blvd. on August 12, 2004. Directed by five Academy Award winners: Roger Corman, Jack Nicholson, George Cukor, George Lucas and Francis Ford Coppola. Attended the LACC Theater Academy. Other alumni include Clint Eastwood, Morgan Freeman, Mark Hamill, Donna Reed and Rene Michelle Aranda. Met ex-husband Bill Hudson at a celebrity softball game in 1981. Where Are They Now: Williams recently starred in the musical comedy film Still Waiting In The Wings.